Greed, gluttony, anger, envy and more. 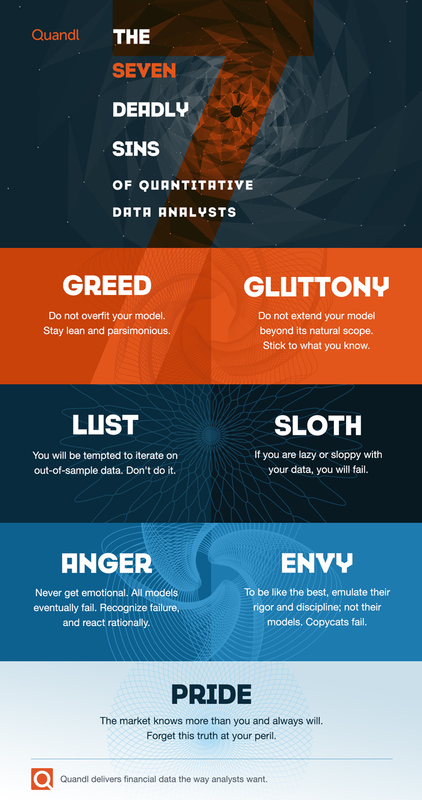 The seven deadly sins of quantitative data analysts put into a nifty graphics, courtesy of Quandl. Five of the nine banks are delaying implementing mobile functionalities. The banking platform is targeted at making international payments easy.